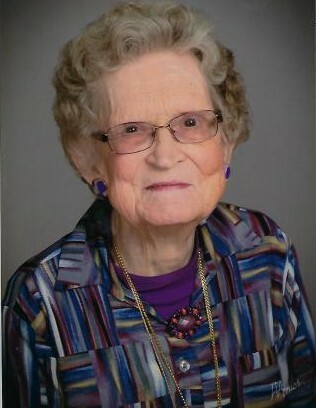 Charlotte A. Mason, 91 of Jamestown and Cedarville, Ohio passed away Thursday April 11, 2019 at Greene Memorial Hospital in Xenia. She was born in Clinton County, Ohio, to Harry and Amy Huffman Anson. She was a member of Jamestown Church of Christ. Charlotte loved her family, her church family and enjoyed cards, bingo and word search puzzles. She is survived by her children: Gary Mason (Faith), Deanna Cooley, Cindie Mason; grandchildren: Leigh Ann Mann (Rick), Brett Cooley (Angie), Beth Coulson (Ken); great-grandchildren: Cole Pinkerman, Alyssa Cooley, Sara Cooley, Grace Coulson, Sophia Coulson, Chloe Coulson; sister, Betty Seaman. She is preceded in death by her husband, Robert L. Mason; parents, Harry and Amy Anson; brother, Herbert Anson; sister, Viola Cordrey; son-in-law, Charles Cooley and great-grandson, Joshua Caleb Cooley. Funeral service will be held on Tuesday April 16, 2019 at 11:00 A.M at Jamestown Church of Christ in Jamestown, Ohio, where friends may call two hours prior to the service. Burial will follow at Woodlawn Cemetery in Bowersville, Ohio.